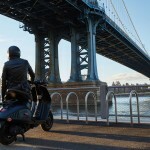 For the motorcyclist (sorry, scooterist) with a nod for style and elegance in your two-wheel transport, Vespa has now debuted its 946 Emporio Armani scooter in the United States. 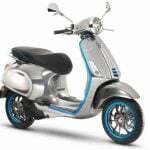 This following its launch in Europe in June and Asian markets in September. 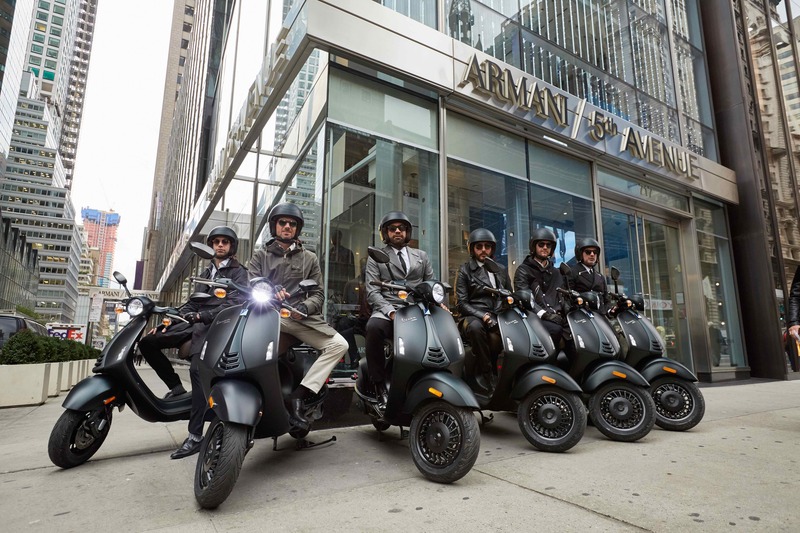 This year, 2015, marks the 40th anniversary of the Giorgio Armani fashion house and the 130th anniversary of the Piaggio Group. 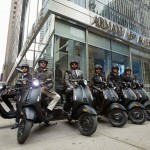 To celebrate, the U.S. launch of the Vespa 946 Emporio Armani was marked with an event on October 14 at Emporio Armani store in SoHo, on 410 West Broadway, New York. 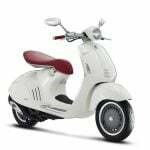 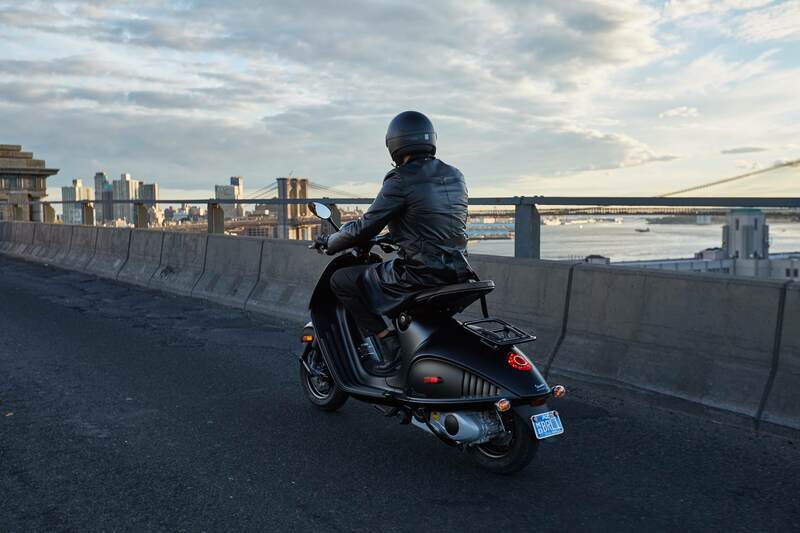 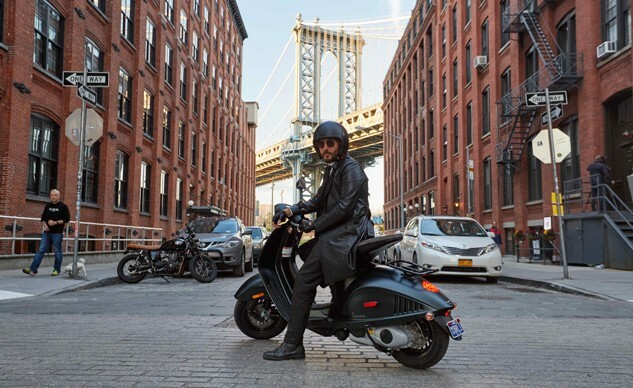 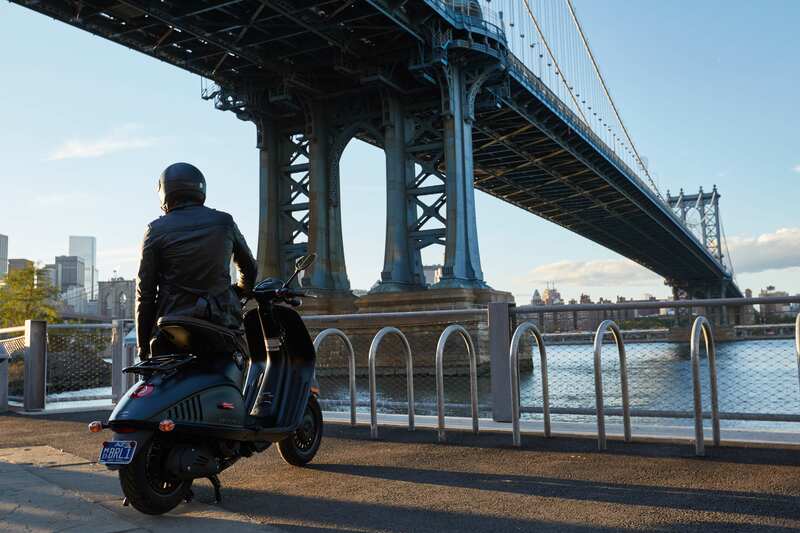 In the USA, the Vespa 946 Emporio Armani will be available from Piaggio Group Americas dealers in major cities, including New York City, Miami, Dallas, Los Angeles, San Francisco and Chicago. 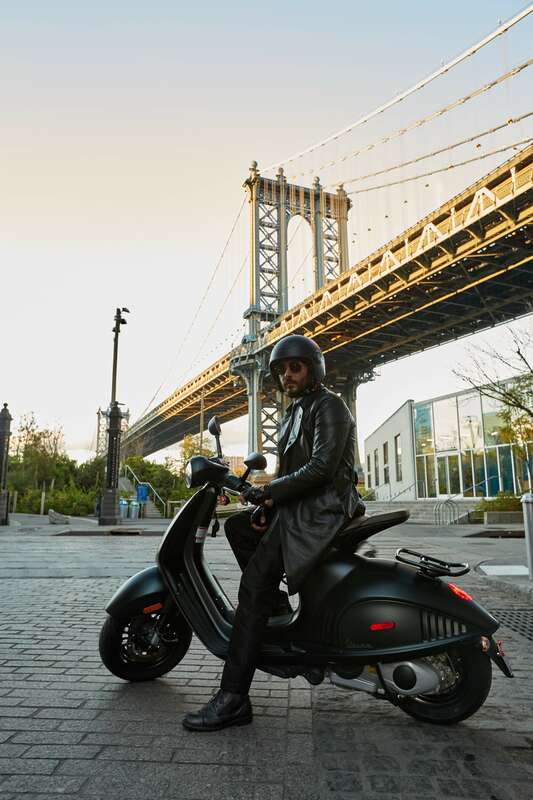 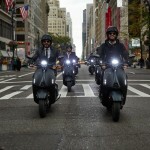 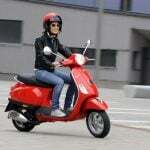 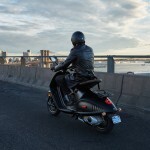 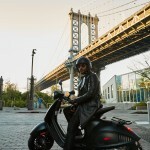 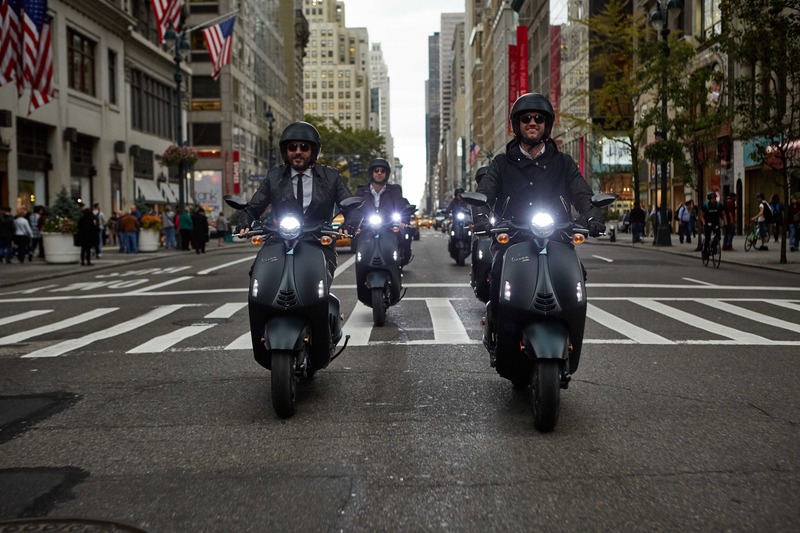 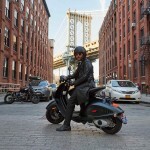 The new scooter has already been presented to customers and potential customers in the Piaggio Group’s new multibrand store in New York. 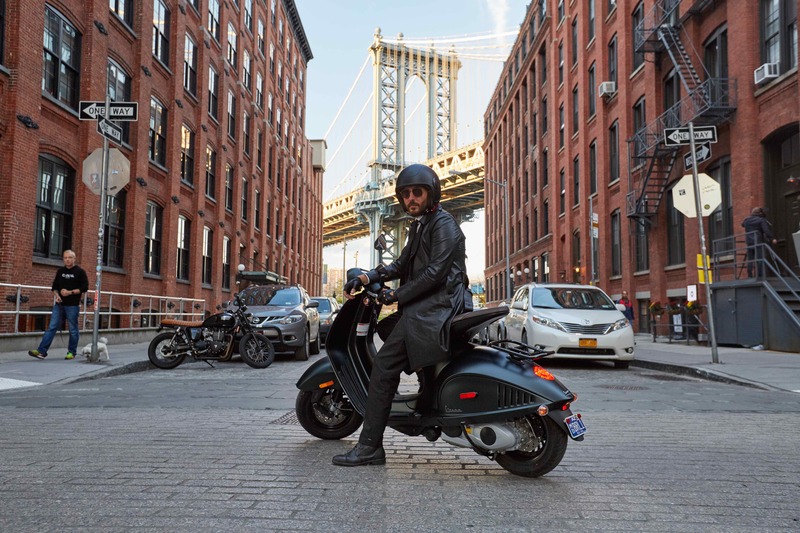 Created as part of the global Motoplex flagship store formula, the new location on 6 Grand Street, Lower Manhattan, opened a few days ago. 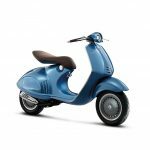 The next launch event for the Vespa 946 Emporio Armani will be in Beijing, in the People’s Republic of China, on October 30. 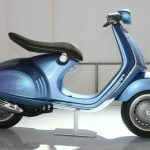 Visit www.piaggiogroup.com for more information.